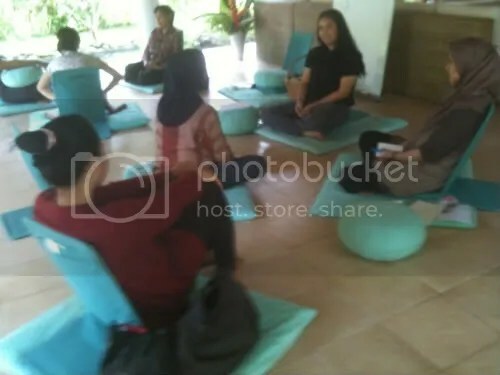 Therapists and lecturers practicing techniques with each other. This training is organized by UGM JogJakarta University. Dining together at Jiwa Damai, our permaculture garden and retreat center.